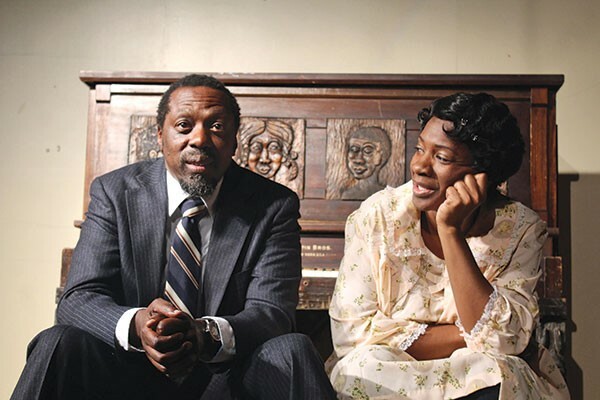 First performed in 1987, and set in 1936, in the Hill District, August Wilson’s The Piano Lesson is the fourth installment in the Pittsburgh native’s epic, 10-play Pittsburgh Cycle. 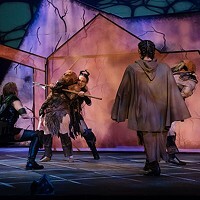 It’s also the first play staged at the newly retooled August Wilson Center, so the warmth and enthusiasm with which the audience greeted this new Pittsburgh Playwrights Theatre Co. production is unsurprising; the director, Playwrights artistic director Mark Clayton Southers, is himself a protégé of Wilson. Such a reception was warranted by the caliber of this production. The unchanging, naturalistic set was garnished with props and attention to detail, with an impressive group of actors exploring the tragi-comedy of African-American life. The play deals with the difficulty of history, legacy and family honor. The Germans have a great word for it: Vergangenheitsbewältigung, or “overcoming the past.” The piano in question is the source of both pain and pride for the Charles family, as members are divided over whether to sell the instrument in order to buy land, or to keep the treasured family heirloom on which are carved the faces of enslaved great-grandparents. Through this simple family matter, universal issues are explored. For the audience, no matter what color, these issues are as relevant today as they were in 1936 or 1987: How do we carry a past of so much pain and heartache? But intertwined are moments of pure comic relief, and we come to realize how humor and heartache are never too far away from each other. Of course, the production is laden with overtones of jazz and the blues, and the oral cultures they grew from. 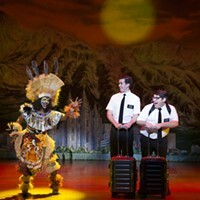 Throughout, Boy Willie (Wali Jamal), Doaker (Kevin Brown), Wining Boy (Garbie Dukes) and Lymon (Monteze Freeland) all share moments of song, performed with a spirit that raised neck hairs across the audience. Considering the financial difficulties the August Wilson Center has encountered over the past couple of years, as well as Southers’ own struggles since a car accident in May left him severely injured, The Piano Lesson offers a much-needed rejuvenation to one of the city’s cultural landmarks.